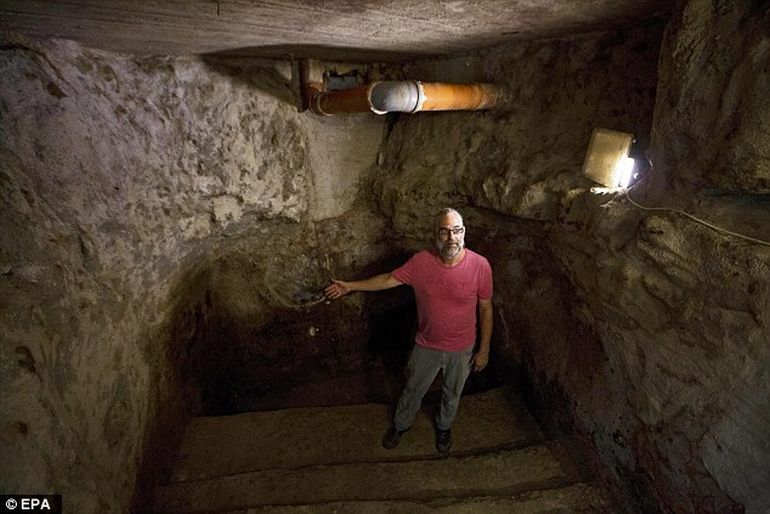 Back in July, we talked about a 2000-year old ritual bath (or mikveh) found hidden underneath a family’s living room, in Ein Karem, an ancient village in south-west Jerusalem (district). 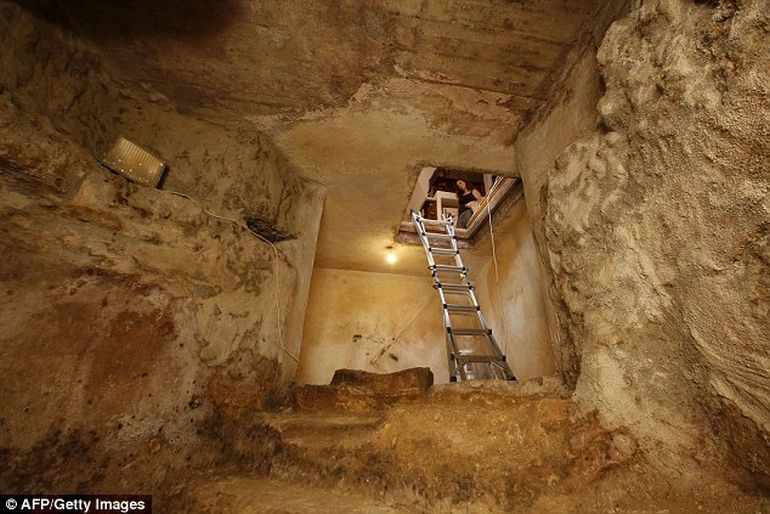 This discovery was pronounced as being significant, since the bath lends some support to the long-standing claim that the region was historically the birthplace of Jesus’s mentor, John the Baptist. 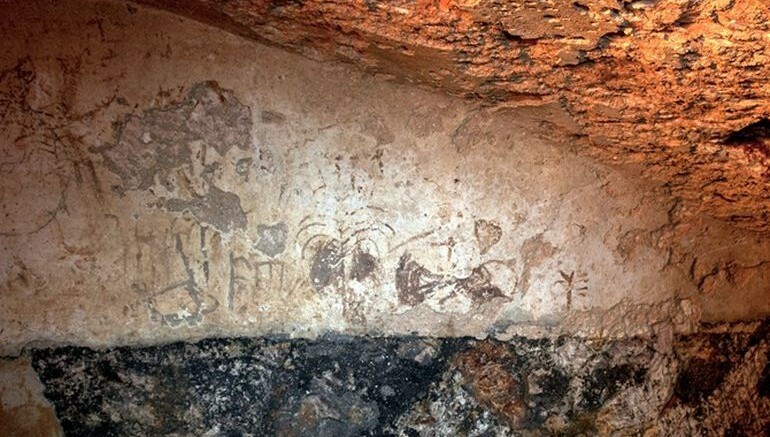 But now, there is another mysterious thread that the historians have to uncover, and that relates to the cryptic message found inscribed on the underground cave’s plastered wall (where the bath was originally unearthed). Comprising various symbols and writings, the baffling ‘mixed’ message was etched with the help of mud, soot and carvings. To that end, the writings were deciphered to be Aramaic – a language that was prevalent in the region during the time of Jesus Christ. The written form is actually inscribed in a cursive Hebrew script, a practice followed for almost 600 years, from 530 BC to 70 AD (when the Second Temple was unceremoniously sacked by the Romans). As for the cryptic symbols, they portray various objects, like palm trees and plants, a boat, and even what seems like the Jewish seven-branched candelabrum known as Menorah. Who is responsible for painting them? Was it one person or several people? Was it someone who jokingly wanted to scribble graffiti, or perhaps what we have here is a desire to convey a deeply spiritual and religious message, perhaps even a cry for help as a result of a traumatic event? For now, the graffiti art has been delicately detached and sent to conservation laboratories for further treatment and assessment. And interestingly, Israel Antiquities Authority is also planning on displaying these inscriptions to the public.